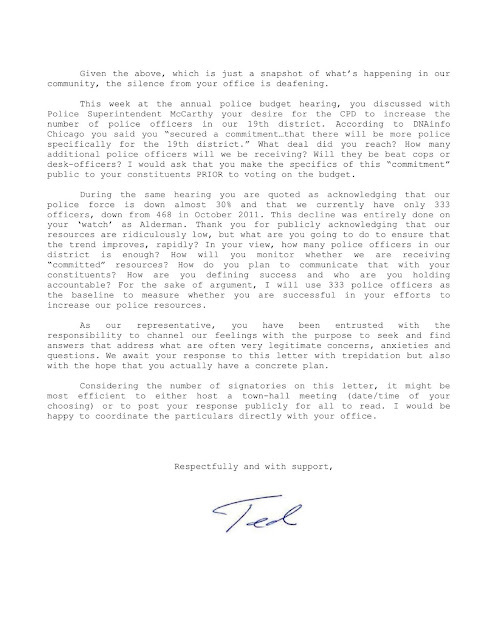 It has been a month since Boystown resident Ted Rosinus wrote a letter to his alderman, Tom Tunney, with a few courteously-presented questions about the alderman's response to crime and the seeming lack of results. 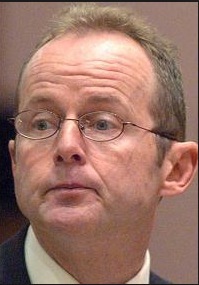 Five days later, Tunney's chief of staff, Bennett Lawson, told Rosinus in an email that a response was being prepared. Nothing has yet been received, Rosinus says, even after sending a second follow-up letter and email. 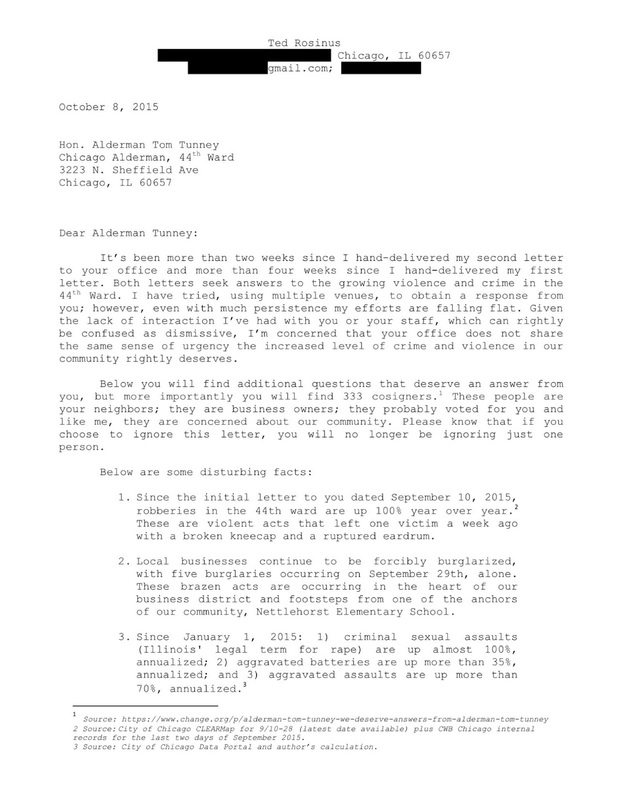 Now, with 333 co-signers recruited via an online petition, Rosinus has hand-delivered letter #3 to Tunney's office. A copy was emailed to Lawson on Friday. Still ever-respectful, Rosinus—and his 333 co-signers—ask more important questions. They deserve answers, alderman. 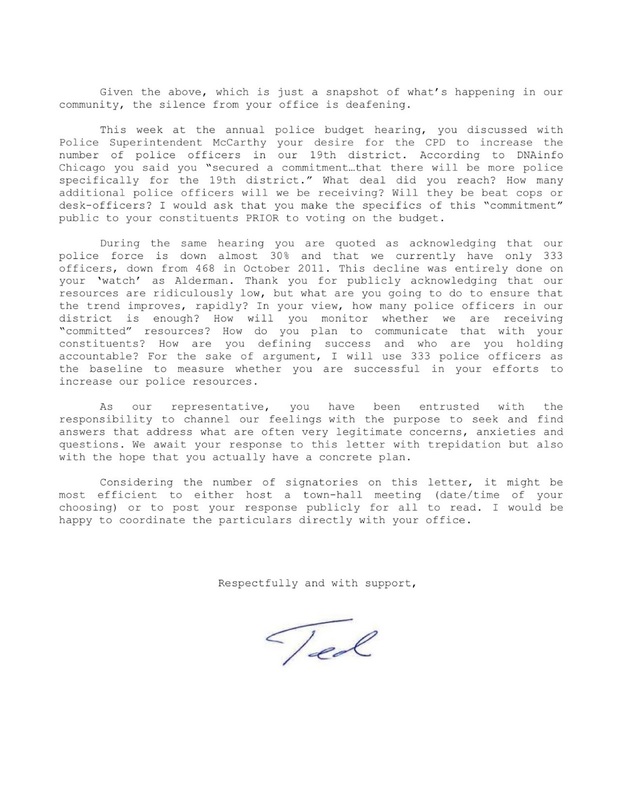 The names of all 333 petition signers stretch across eight pages following Ted's signature.